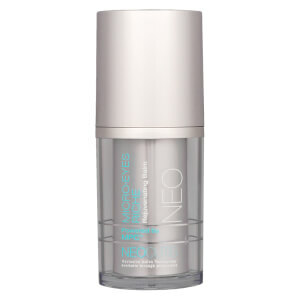 Take care of delicate skin with Neocutis Micro Eyes Rejuvenating Cream, a deeply nourishing eye cream that offers multiple anti-aging benefits. 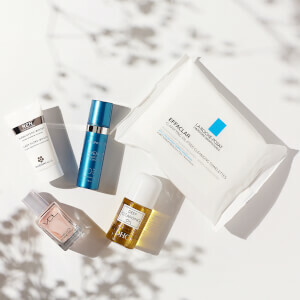 A powerful combination of Hyaluronic Acid and Caffeine works to replenish high levels of moisture to the skin, helping to smooth out the appearance of wrinkles and soothe puffiness for a wide-awake, youthful effect. The cream sinks in easily to deliver instant comfort, whilst also balancing dark circles and firming crepey skin. The result is a brighter, more lifted and younger-looking eye contour. Apply to the skin area surrounding the eye morning and evening or as directed by your skincare professional. For external use only. Avoid contact with eyes. If contact with eyes occurs, rinse eyes thoroughly with water. Discontinue use if signs of irritation or rash appear. Keep out of reach of children. If product is swallowed, get medical help or contact a Poison Control Center right away. Water (Aqua), Caprylic/Capric Triglyceride, C12-20 Acid PEG-8 Ester, Glycerin, Butylene Glycol, Saccharide Isomerate, PEG-8, Cetyl Alcohol, Caprylyl Glycol, Potassium Cetyl Phosphate, Carbomer, Bisabolol, Ascorbyl Tetraisopalmitate, Caffeine, Phospholipids, Tetrapeptide-21, Capryloyl Carnosine, Palmitoyl Tripeptide-1 Acetate, Glycyrrhetinic Acid, Sodium Hyaluronate, Sodium Polyacrylate, Citric Acid, Tocopherol, Fagus Sylvatica (Beech Tree Bud) Extract, Elaeis Guineensis (Palm) Oil, Tocotrienols, Ascorbyl Palmitate, Squalene, Ascorbic Acid, Phytosterols, Disodium EDTA, PPG-25 Laureth-25, Sodium Hydroxide, Sodium Citrate, Sodium Dehydroacetate, Sorbic Acid, Undecylenic Acid, Phenoxyethanol, Methylparaben, Ethylparaben, Propylparaben, Butylparaben. I’ve been looking for an eye cream that feels moisturizing while not feeling goopy and this cream fits the bill. It goes on smoothly and works well with my eye makeup too. I’ve tried a lot of other eye creams and it’s rare to find one I really like. I just wish it wasn’t so pricey.